4. 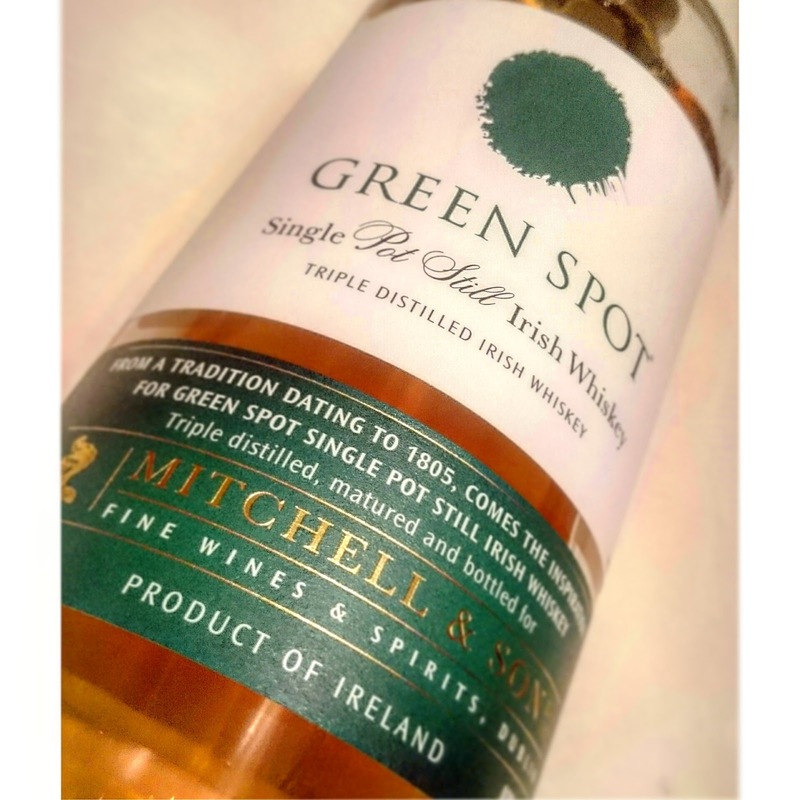 Blended whiskey - combination of grain whiskey with single malt whiskey / single pot still whiskey. Apart from Jameson, Irish whiskey is not commonly found in Malaysia yet, probably because there's not much demand as everyone's still mad over Scotch and Japanese whiskies. With all those heart breaking news about Japanese going NAS and hiking up prices to ridiculous percentages, I'm actively switching back to looking for independent Scotch distilleries and Irish, if I can get my hands on anything else apart from the very commonly found Jameson. Please tell me where? 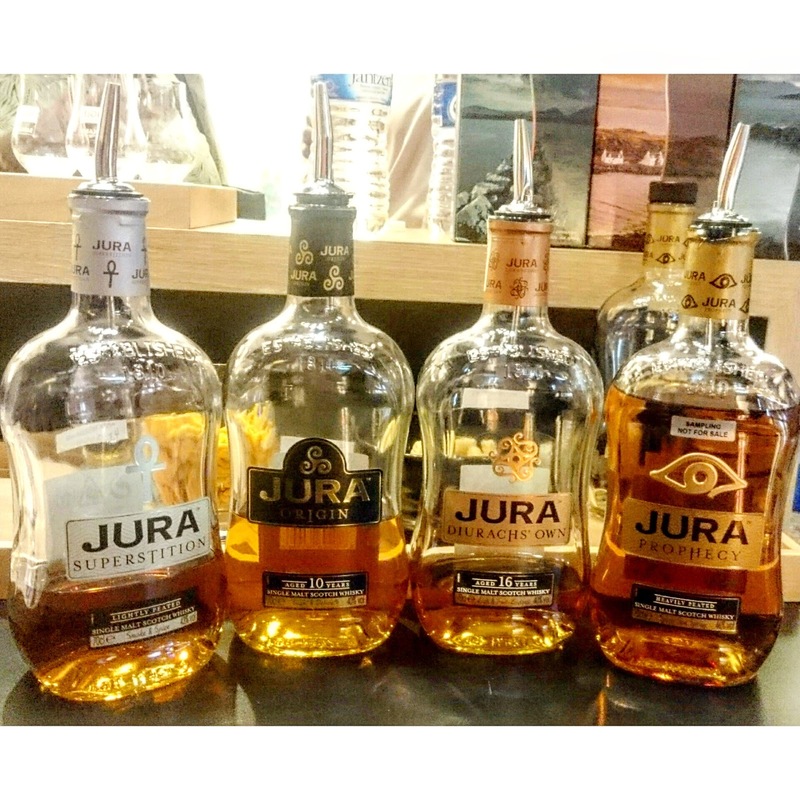 Single & Available's monthly Whisky Fling last Wednesday featured 4 types of Jura - Superstition, Origin, Diurachs' Own and Prophecy. All 4 carries a slight peat and salty profile. I liked the Prophecy the most because of its mouthfeel. Jura actually means deer in Old Norse. First founded in 1810 and rebuilt in 1963, it's named after the island from where it's located. Apparently, the island's large population of red deer outnumbers its humans. The distillery is the largest, and is the biggest individual employer in the island. 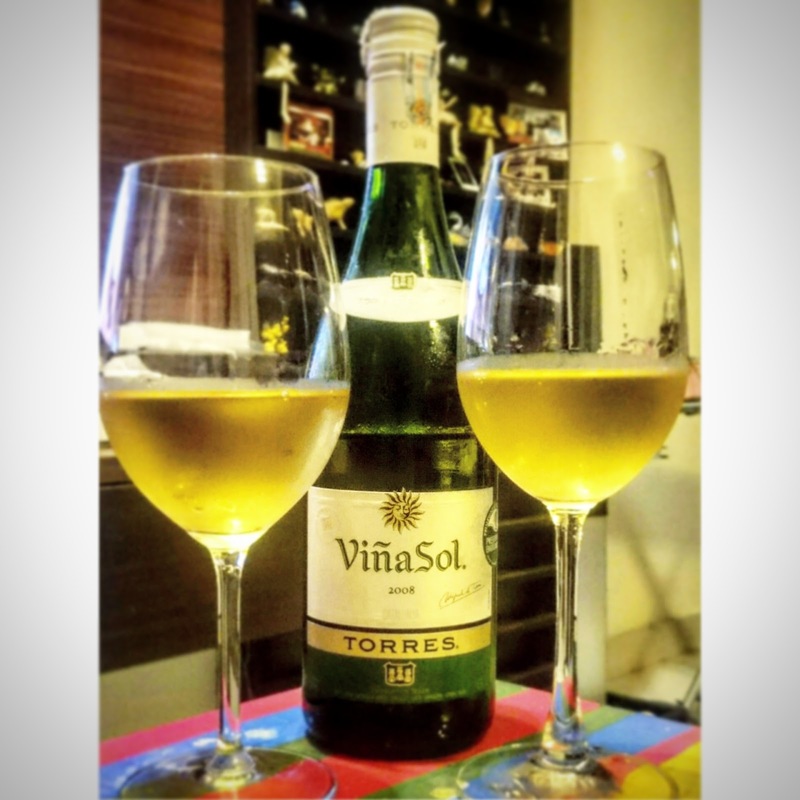 This Spanish white wine is relatively inexpensive (<RM50) and easy to drink. 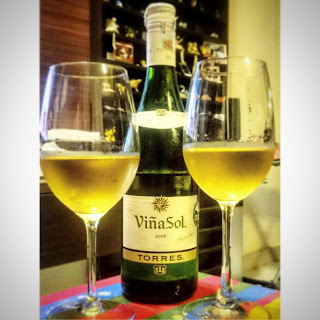 It's fruity, sweet and smooth. Not dry. Crispy. Tastes better with food I feel, because on its own the sweetness is quite overpowering. Went down nicely with prawn pasta for dinner. It's apparently quite a popular Spanish brand and commonly used as the preferred house pour in Spanish resorts. 4. 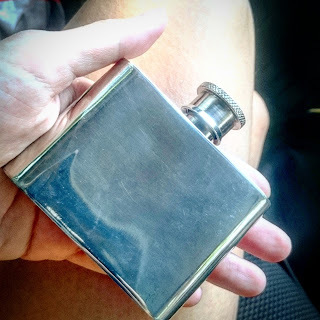 Keeping a hip flask for "emergencies". Do you keep a flask? I like the novelty of having one (so feel free to get me another!). But the nuisance is having to care for it. If it's not of a good quality, god knows what's going on INSIDE the flask. So please don't get those cheap ones from novelty shops, instead invest in a stainless steel, silver or pewter one. And I personally have a problem with plastic. Glass? Well, not sure if you wanna risk breakage in your bag... or worse, pants! How do you maintain them? Well, I "wash" mine by shaking it with vodka (the first time), then with hot water, then leaving it upside down to dry. Apparently you should NEVER use soap to wash out your flask. I found a few other sites that teaches you how to care for your flask, hopefully you'll find them useful. TLDR: No soaps, no dish washer, no acid. Yet, some sites say you could use a squeeze of lemon, baking soda or vinegar to clean your flask (which I won't do), but YMMV. Also, you mustn't leave your alcohol in your flask for too long (not more than 3 days) otherwise it'll turn into a metallic flavour. LOL just saw it properly. it's WATER. 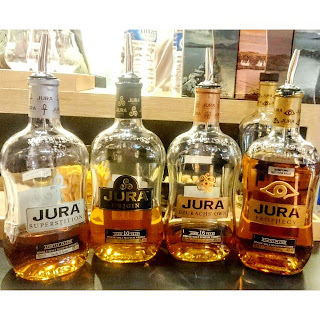 who is the main distributor of Jura here? Fortier Wines & Spirits who unfortunately, does not have an online presence.